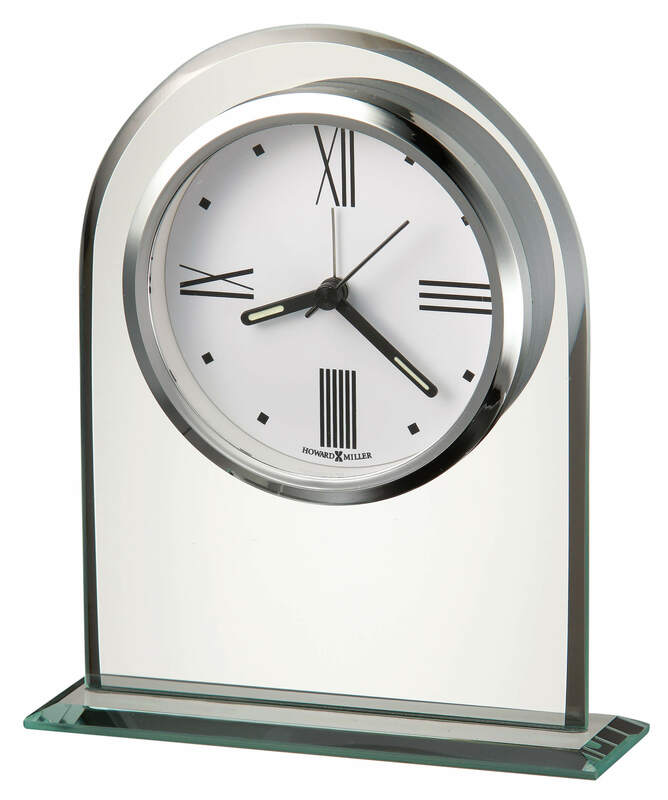 The crisp white dial of this alarm clock is suspended within a beveled glass arch mounted on a glass base. A polished silver-tone bezel surrounds the white dial and contemporary Roman numerals and hour markers, and glass crystal. Black hands are featured with luminous inserts. 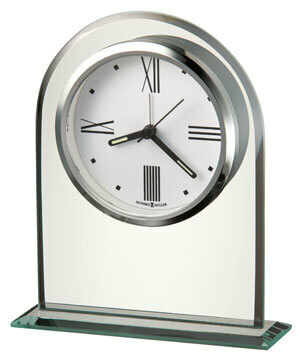 You will save $12.90 (30 %) on this Howard Miller Regent 645-579.